When will be Cow and Chicken next episode air date? Is Cow and Chicken renewed or cancelled? Where to countdown Cow and Chicken air dates? Is Cow and Chicken worth watching? During July 1997, Cartoon Network unleashed a new cartoon called Cow and Chicken. 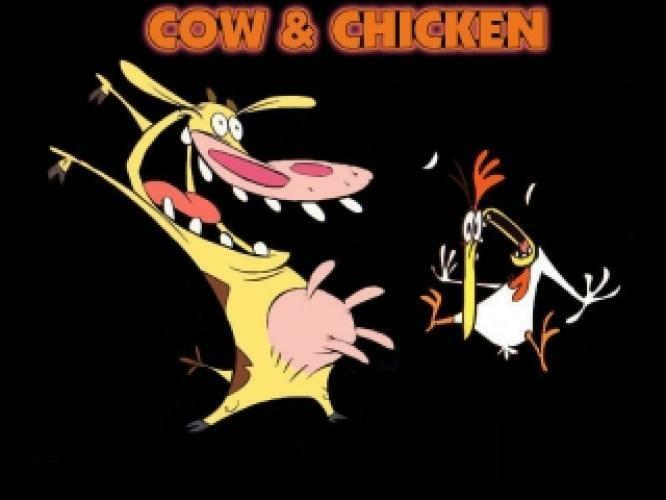 The series was about the life and times of a cow and a chicken who are both siblings from human parents. At the end of 2 episode shorts, there would be an episode of I. M Weasel played as part of the show. The series ran till July 1999 with the 12th episode of season four. The series was officially canceled. Then, I Am Weasel episodes would be placed after two 15 minute episodes of Cow and Chicken. Those episodes are both considered to be a part of this series or being a part of their own series. EpisoDate.com is your TV show guide to Countdown Cow and Chicken Episode Air Dates and to stay in touch with Cow and Chicken next episode Air Date and your others favorite TV Shows. Add the shows you like to a "Watchlist" and let the site take it from there.